I do what I know to do. I sit before the Lord with a psalm. full of the life of Christ. filled with a measure of that life. I can't find that life. I have come to trust. God's word and His promises are true. They have immunity from feelings. the sea churns just a bit. 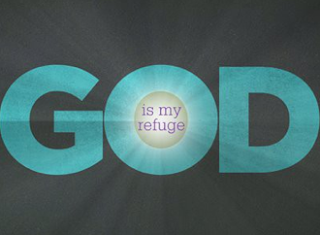 You are my refuge, God.